Taijul Islam’s brilliant spell inspired Mohammedan Sporting Club to clinch a victory in the 6th round of Walton Dhaka Premier Division Cricket league 2016-17. 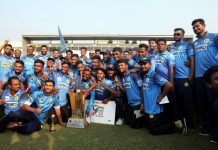 Abahani Limited and Prime Doleshwar Sporting Club also won their respective matches. All of the matches were low scoring today, where no team could pass 200 mark. Batting first at BKSP-3, Mohammedan were all out for 135 runs in 39.4 overs. Rakibul scored the highest 24 while Asif Hasan picked up 4 for 19. Chasing the small target, Legends of Rupganj lost wickets in regular basis and ended up bowled out on 84. Mohammedan won by 51 runs. 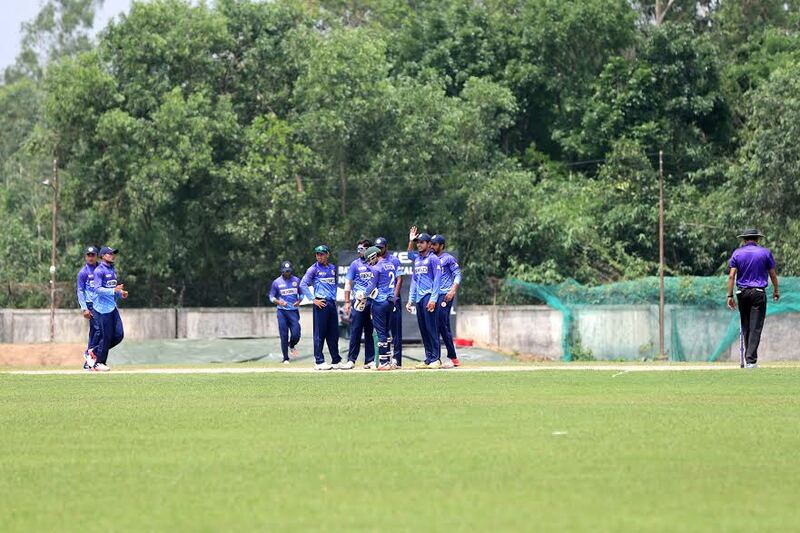 Abahani Limited beat Kalabagan Krira Chakra by 6 wickets at BKSP-4. Shuvagata Hom’s 4 for 19 and other bowlers impressive performance restricted Kalabagan on 156. Abahani chased down the target easily thanks to Saif Hasan’s 61 and Mohammad Mithun’s unbeaten 30. Prime Doleshwar Sporting Club sealed a 7 wicket victory over Prime Bank Cricket Club at Khan Shaheb Osman Ali Stadium, Fatullah. Opting to bat first Prime Bank were bowled out for 180 in 49.5 overs. In reply unbeaten 78 of Shahriar Nafees guided Prime Doleshwar to a comfortable victory. Result : Mohammedan Sporting Club won by 51 runs.